Home FAQ Blog How can you call God “Mother?” Isn’t that goddess worship? Didn’t Jesus call God “Father?” How can you then call God “Mother?” Isn’t that goddess worship? In the story of the woman at the well, Jesus states that God is a spirit, and that those who worship God don’t have to be at this or that place, because we should worship in spirit and in truth. All through the Scriptures, God is a mystery, whose thoughts are higher than our thoughts, and whose ways are higher than our ways. Many writers in the Bible talk about God in anthropomorphic ways – like God’s hands reaching out, or God’s walking in the garden; however, this doesn’t mean God has hands and legs as we do. God is not a human, and cannot be bound by the way humans think or understand. The limits come from language, from our inability to adequately express what we learn about the Divine in human terms, not from limits of who and what God is. Gender is a human attribute. The main clue to this question comes in the stories of The Beginnings (which is what the Greek word “genesis” means). Chapter 2 of Genesis contains a parallel story of beginnings that starts over from scratch and uses a whole different name of God. (In the first story, God’s name is “EL” – in the second story, God’s name is “YHWH”. Scholars can trace these two interwoven traditions all through the Old Testament by the use of the name for God. Our English Bible demonstrates this in the uses of God, LORD God and Lord.) The second tradition avoids the “7 days” organization, and just has the animals and the Generic Human Creature from the Dust (which is what the Hebrew word “adam” means) put into a garden, and later divided into male and female. All in all, it’s no more “right” to call God Father than it is Mother. And sticking exclusively with male nomenclature for God is what has led to the identification of God with males and the confusion of male authority with Godly authority. Most Christian feminists see the exclusively masculine naming of God as tantamount to idolatry. So now let’s move on to why Jesus called God “father?” Actually, Jesus called God “abba,” which is more a baby name with the repetitive syllables, like Dada or Momma, or the German Opa and Oma for grandfather/grandmother. Jesus’ name for the Divine is an intimate name, a personal name; Jesus pictures and names a close love and relationship with that Divine who is mysterious and “other.” The emphasis is on the intimacy rather than on gender. Actually, the way some Christians intone the English word “Father” still sounds like the authoritarian and unapproachable father of the Victorian era, so they’ve missed the boat entirely on what Jesus was doing! The word “sophia” is the Greek translation of the Hebrew word meaning “wisdom.” It’s used in Scripture especially in Proverbs, where Wisdom is personified and becomes a female figure with a capitalized “W” who is with God from the first Beginnings. Books not in our Protestant Bible, like the Wisdom of Solomon, talk about her even more. Jesus, in fact, takes some of the things said about Wisdom as referring to himself. When the Bible was translated into Greek, the name “Wisdom” became the Greek “Sophia.” Feminist Christians have enjoyed this figure of Wisdom Sophia as one of the few female images for God in the Bible. Coming up with what to call God, attempting to speak the truth of the Mystery without human implications, has been a problem not yet comfortably resolved. 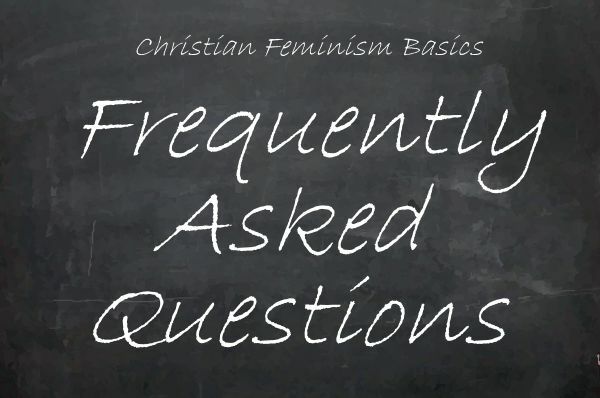 The name “God” is used in many ancient mythologies to mean the male gods, and the females are called goddesses, so some Christian feminists are sensitive to the English word “God” as implying the male. “God is Spirit, and those who worship God must worship in spirit and in truth,” said Jesus to the Samaritan woman he met at a well near a small town (John 4:24). Spirit has no gender. The Creator of the entire universe does not need to reproduce through sexual means, thus there are no sexual organs involved. When Christian feminists today refer to God using words like “She” or “Mother,” they do so to remind themselves and others that God is not male. They are not claiming that God is female; they are simply trying to think out of the box, to balance the masculine language with feminine language. In the English language we can also use gender-free language for God: Creator, Maker, Shepherd, Potter, Spirit, Ruler, Comforter. Parental words like “Mother” and “Father” are more intimate, however, than these words. Women sometimes appreciate the closeness and nurturing of images like Mother-God, especially if they have been taught to fear an angry Father-God or if they have been abused by a father. The prayer Jesus taught us occurs twice in the Bible, beginning with “Our father in heaven” in Matthew 6:9 and simply with “Father” in Luke 11:2. (Actually, a footnote to Luke 11:2 in the Restored New Testament reports that the word Father is not in the earliest texts.) Jesus frequently addressed God as abba (meaning “papa”—something less formal than “Father”), as in John chapters 14-17 and in his words on the cross. However, in light of other things Jesus said, this use of abba does not mean that God is male or that to use amma “Mother” is wrong. Using a parental word is simply a way of remembering that God is our source, our caregiver, and the one we obey. Powerful goddesses as well as gods were worshiped in the nations surrounding biblical Israel, and the people of Israel were often warned to worship only the one true God. To place a sacred pole (honoring the Canaanite goddess Asherah) next to God’s altar was to break the first three of the ten commandments (Deuteronomy 7:5; Exodus 20:1-6). Because Israel’s God, YHWH, was often named with words that were grammatically masculine, the one true God seemed to be male. Feminine words for aspects of God like Ruach (Spirit) and Hokmah (Wisdom) were still used, but in English these two words have no gender. As a result, feminine names for God sound strange to many English speakers; and to some they even sound like heresy. When biblical feminists use the words “Mother God” or “Holy Wisdom” (Hagia Sophia in Greek), they are not worshiping the goddesses of another culture but using alternative language to worship the One in whom “we live and move and have our being” (Acts 17:28). There are some Christians, however, who really believe that God is somehow masculine in essence. These people feel that feminine language for God is wrong and heretical. 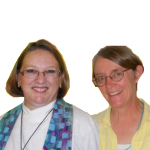 The Re-Imagining interfaith conference in Minneapolis in 1993 was condemned by some observers, partly because of use of the word “Sophia” and other feminine language for God. Your God Is Too Small by J. B. Philipps (New York: Touchstone, 1952). Inclusive Language in the Church by Nancy A. Hardesty (Atlanta: John Knox Press, 1987). The Divine Feminine: The Biblical Imagery of God as Female by Virginia Ramey Mollenkott (New York: Crossroad, 1993). She Who Is: The Mystery of God in Feminist Theological Discourse by Elizabeth A. Johnson (New York: Crossroad, 1992). Is it Okay to Call God “Mother”? Considering the Feminine Face of God by Paul R. Smith (Peabody, Massachusetts: Hendrickson Publishers, 1993). In terms of the English language, this ‘balancing’ is actually ‘unbalancing’ since English only has one set of gender-specific pronouns – she/her/hers. I realise that in common parlance ‘he’ is thought of as masculine, but technically it is has no gender-marking; it is inclusive, as opposed to the use of ‘she’. Rather than trying to find alternatives to such a non-specific pronoun, or using terms that specify God’s nature as feminine, is it not time that the church sought to challenge the modern assumption that ‘he’ is a masculine pronoun in the way that ‘le’ in French or ‘der’ in German are masculine? I just want to add another book to your resources, and also tell you about my blog, The Mother God Experiment. And my blog is about what happens when I put down my masculine-centered Bible for a while and read only devotional material using feminine terms for God, as a way to finally change my God image from Man Upstairs to Mother God. I basically agree with this article, though a small nit pick is that I feel “Wisdom” is chiefly a title of The Holy Spirit. I’ve written a lot on my blogs “Sola Scriptura Christian Liberty” and “A Chronological View of Revelation” about the Genders of God. I break with tradition and argue that in the Song of Solomon it is the Bride, Shulamith, who represent Christ and her Beloved New Jerusalem. Also the argument for thinking Jesus was Crucified on the Mount of Olives involve seeing the Red Heifer as a type of Christ. In Hebrew a word ending with a Heh is usually a sign of being Gramatically Feminine. Yet there are many odd exceptions to this. Chief among them being the Holy Name itself, and it’s shortened form Yah. Also the Hebrew word for God, Hel, does appear in seemingly Feminine forms in the Hebrew Scriptures, Elah and Eloah, sometimes of the True God.